It is a rainy, Halloween night. A few children came to the door just before it started to rain. I thought I would have to eat all the candy myself. Then, right in between downpours, a group of five kids showed up. Two were pre-teens apparently in charge of three young children. They had large bags filled almost to the brim. They said they were cleaning up because they were the only ones out in the rain. One of the youngest kids said, “I’m not gonna let a little rain ruin my Halloween.” I dumped the bag of candy into his bag. He was too cute, and I loved his attitude. There were adults waiting for them in a car, so I knew they were being careful. I had lunch with my friend Jeanne today. Visits with her are always uplifting and fun. After a long lunch visit, I stopped by the Austin Sewing Machines and Quilting. It is conveniently located close to my son’s house. I bought some beautiful autumn fabric to make a set of reversible place mats. I also found a pattern for making fabric bowls that I will try to make tomorrow. I had four charms and enough remnants from another project, to make some mug rugs. My plan is to make three sets of Thanksgiving place mats to give to my sons. Sandra, of Gray Barn Designs, posted a pattern for a table topper that featured a cute turkey named Garret. I adapted Sandra’s design to make place mats, and I pieced the tops today. Thanks for the pattern, Sandra. I am house/pet sitting for one of my sons. It is turning out to be a great retreat. His two pets have become my sewing buddies. I find myself asking Marley if she likes what I made and she just wags her tail in affirmation. Richard Parker, on the other hand, gives me his cat stare as if to say: Why are you bothering me?…or…Old lady, do you realize that you are talking to a cat? Last Friday, we had a family pumpkin carving night. It really got me in the spirit of the season. Today, I lit a pumpkin scent candle that filled the room and really set the mood for me. I decided to make an owl tote bag for my granddaughter. She loves Minky fabric, so I used it for the owl belly. When I went to the grocery store to buy pumpkin muffins, I found this cute book, Owl Diaries. Now, it is time to eat those pumpkin muffins. The Super Mario fabric I ordered to make a tote for my grandson’s video game was delivered this afternoon. I was still trying to decide on how I would make the tote. Yesterday, my grandson asked if I could make a pouch with a zipper. I liked the idea, so I used some fat quarters I had to make a zippered pouch this morning. I made a pattern to look like the overalls worn by Mario. The pocket in front is for the battery charger. I decided to make a pillowcase with the Mario fabric. We had a beautiful evening carving pumpkins. 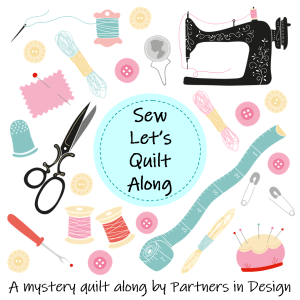 When I bought my sewing machine at Austin Sewing and Quilting, I was told that I could have two lessons to learn my machine. I explored and learned a lot on my own, but today I went for my first lesson. This may not be exciting to others, but I learned how to make a button hole today! The last time I made a buttonhole was in a home economics class in 1968…and it was disastrous. Now, these new machines just make it easy-peasy! I believe in celebrating the little things, so I’m very happy about this buttonhole! Yay!